Pioneers in the industry, we offer library bookshelves, free standing shelf unit, wall mounted bookshelves, 6 shelf bookcase, library racks and ms library shelves from India. Backed and supported by years of experience in this domain, we have been able to manufacture the optimum quality of Library Bookshelves. Used in libraries for storing books, the offered library rack is designed as per the industry laid norms and regulations. 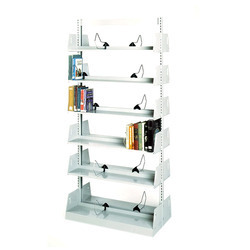 Owing to its durable construction and high load-bearing capacity, the offered library rack is highly demanded. Our company holds expertise in offering excellent quality Free Standing Shelf Unit to our valuable customers. 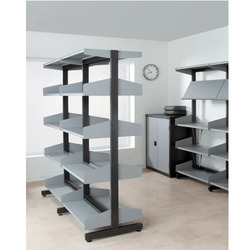 These shelf unit are used to store different kinds of a book in most organized manner. We have been able to deliver these shelf units within promised time frame at the customers’ end, owing to our wide distribution network. 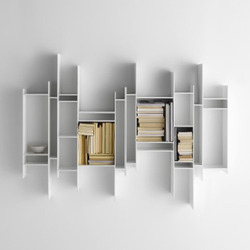 Based on rich years of experience in the relevant domain, we are efficient in providing a matchless collection of Wall Mounted Bookshelves in the market. 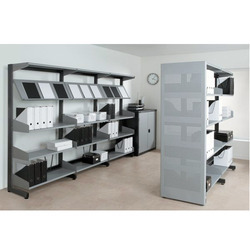 Owing to our rich expertise in this market, we are highly preferred by clients for manufacturing 6 Shelf Bookcase. 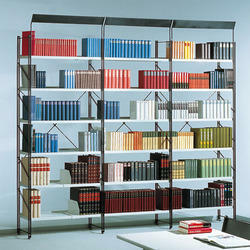 High-grade raw materials are sourced from the vendors for manufacturing these book racks. We are humbled to introduce ourselves as the manufacturer of Library Racks. The offered library racks are widely used in the libraries for storing books, magazines, newspapers and literary material. Our offered library racks are very efficient storage devices for the archived text items. 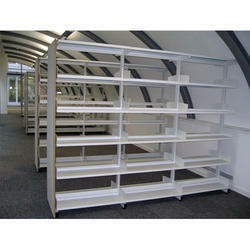 The offered racks are very cost effective solutions for the space crunch in the public and private libraries. Keeping in sync with the latest market development, we are engaged in providing a high-quality range of MS Library Shelves.